Although it sounds like a ridiculous statement, it is indeed true – you can turn insolvency to your benefit. Business insolvency could mean a fresh new start for a sinking company. When a business lacks the ability to pay off its mountain of debts from different creditors, it definitely is not an option to just take no action and stress over these problems for weeks. Your business problems need to be resolved by tackling them head-on. But “How do I do that?,” you may well ask. Dealing with the company’s continually increasing debts involves due legal process. And it is better to do this immediately to avoid further damage and risks. This resolution process means seeking external help; you will need solid insolvency advice. You can choose from the few trusted options – to undergo a receivership, or to opt for voluntary liquidation of assets. Receivership means that a bank, or the company’s creditors will assign a receiver who will work in the company to manage the business until they are able to generate enough money to pay the unpaid debts. A voluntary liquidation on the other hand is when your company – based on its constitution and bylaws – decides to liquidate its assets in order not only to pay debts, but also to be able to generate more profit for the stakeholders of the business. In some cases, companies are obligated to undergo a compulsory liquidation. In this case the court will assign a liquidator to sell the assets of the company in order to provide enough money to pay the debts of the business. Laying down the debt issues on court proceedings will benefit not only the creditors but the business owners as well. During a court proceeding, all facets of the presented issues are discussed, and liabilities are well defined. All options are laid out for the insolvent company, and the result doesn’t always end in filing for bankruptcy. However, the end verdict and agreement still depends on certain circumstances. Factors such as the company’s capacity to return to its normal operation, and the reasons behind the insolvency are carefully investigated. It pays to find out everything you can and get the best insolvency advice possible when it comes to business insolvency resolution. After all, when your business is in trouble, your future depends on making the best decisions armed with the right knowledge you can find at this crucial time. 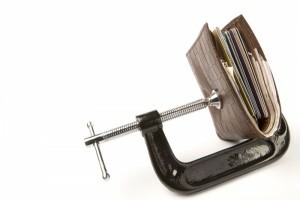 Insolvency can be to your benefit, but you must get it right.